With awkward silences highlighting disgusting noises, bathrooms can be intense. Especially in commercial businesses, when there’s a series of stalls providing minimal privacy and even less noise isolation. The plastic, metal or steel stall dividers have one job: protect users from onlookers. However, when you don’t take time to install them properly… bad things happen. Whether it was a first-time operation, the measuring stick was a bit off, or the installer was in a bit of a rush, the result is still the same: Mission Incomplete. Here are a few examples of such failures. Hopefully all of the visitors are of a slender build, or else they’re not fitting here. 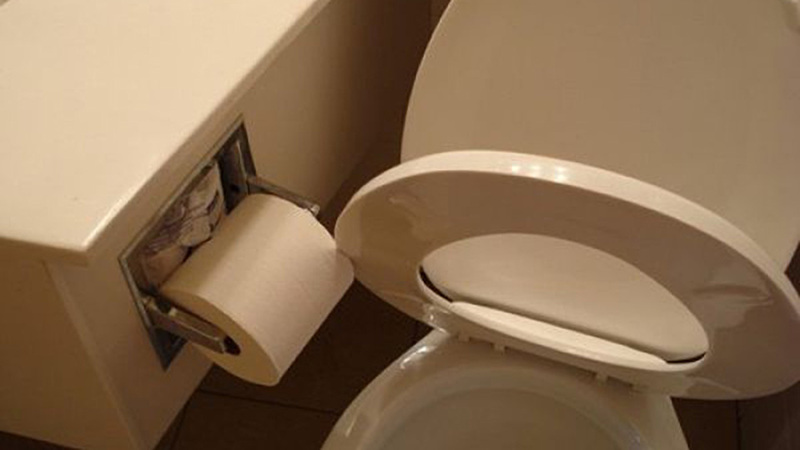 Aside from the obvious issue of a toilet paper stopper, just imagine how tiny this potty space must be. There are two ways to view this image. Either it’s the result of measuring error or perhaps the designer wishes to engage users in a jig-saw puzzle. In this scenario, each guest gets the privilege of problem solving. 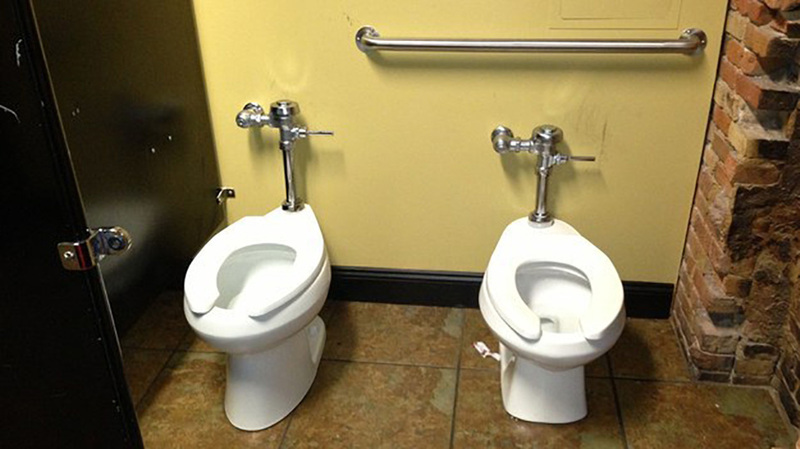 If you’re like most men, I’m sure you typically head to the bathroom in pairs. You ask your buddy at the restaurant if he also needs a bathroom break. Then you skip hand in hand to the facility. 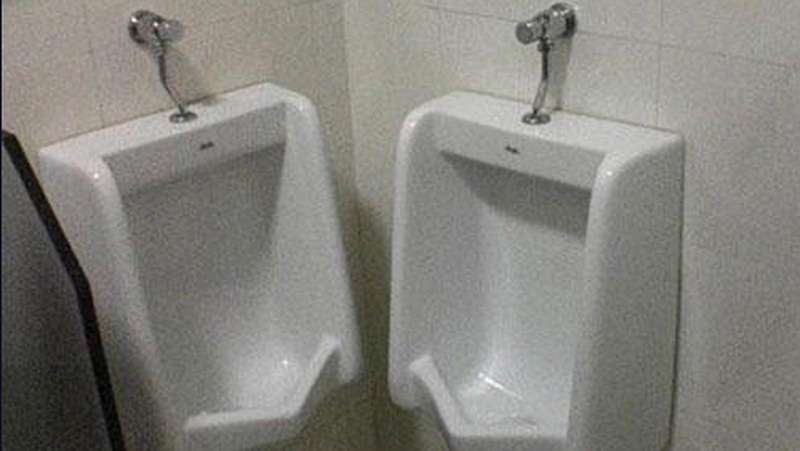 At this point, you’re both more than delighted to see a duo urinal corner, right? When it comes to selling a product or service, customer service is key. Many business tycoons will often use the phrase, “Customer is King.” Establishing good report and loyalty with your guests begins with properly caring for their most basic needs. 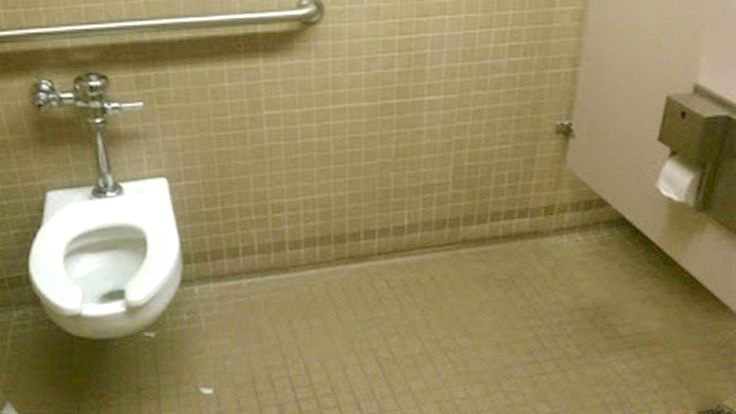 This facility manager must not have gotten the memo. This prison-like scenario could be avoided with some excellent toilet partitions. 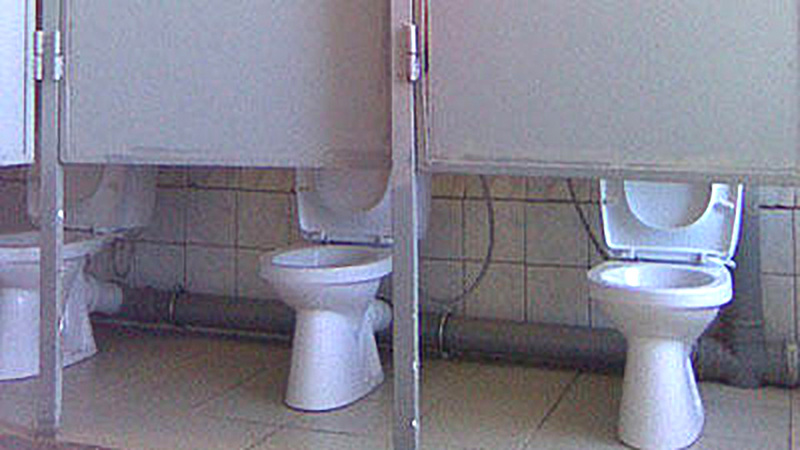 Fast Partitions has developed affordable commercial bathroom stalls. We provide instantaneous divider solutions in three quality materials: plastic, metal and stainless steel. For schedule convenience and a happy wallet, Fast Partitions provides fast and free delivery. In addition to stress-free local delivery, we provide complete package deals on all partitions. This includes divider stalls, pilasters, doors, and all necessary installation hardware. When you look at this photo, the childhood game “peak-a-boo” may come to mind. While it’s all well and good for 5-year-olds to goof off, adults may not feel the same when it comes to their restroom privacy. While the image is comedic, its actuality will cause numerous issues for the business owner. This stall failure is a peeping tom paradise. There should be a stall here. Following through with details will not only increase environment morale but also will improve privacy, safety, happiness, and ultimately company sales. Your coworkers, team members and potential clients are likely to utilize the facilities. Save everyone’s rear end and buy quality toilet partitions.